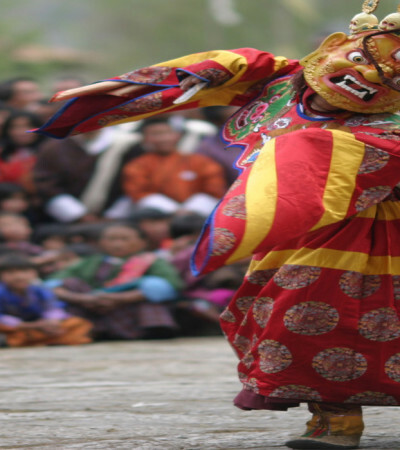 The kingdom of Bhutan lies deep in the eastern Himalayas. 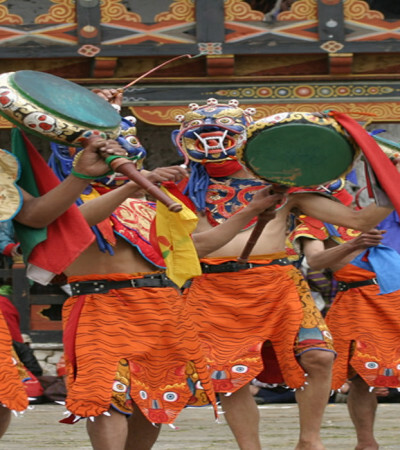 It is surrounded by the Tibet Autonomous Region (TAR) of China to the north, and the Indian territories of Assam and West Bengal to the south, Arunachal Pradesh to the east and Sikkim to the west. The tiny landlocked kingdom has a total area of 46,500 km² and spreads between meridians 89°E and 93°E, and latitudes 27°N and 29°N. 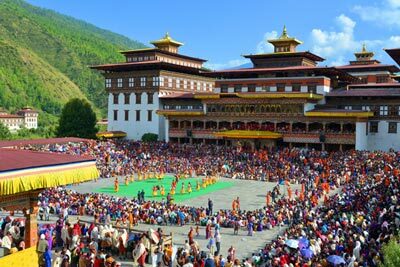 The relief of Bhutan can be divided into three altitude zones, namely, the the Greater Himalayas of the north, the hills and valleys of the the Inner Himalayas, and the foothills and plains of the Sub-Himalayan Foothills. 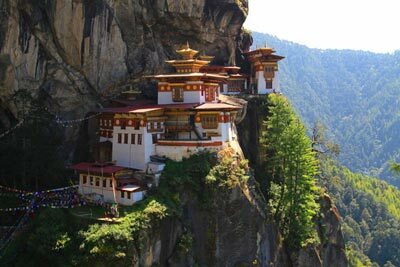 The towering Himalayan mountains of Bhutan dominate the north of the country, where peaks can easily reach 7,000 metres (22,966 ft) above the sea level. 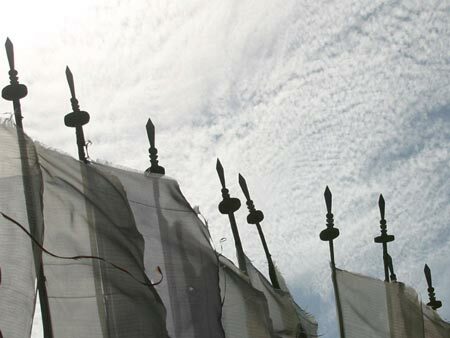 Some of the best known peaks are Jiwuchudrakey and Jumo Lhari. Permanent snow, glaciers and barren rocks form the main features of this zone. 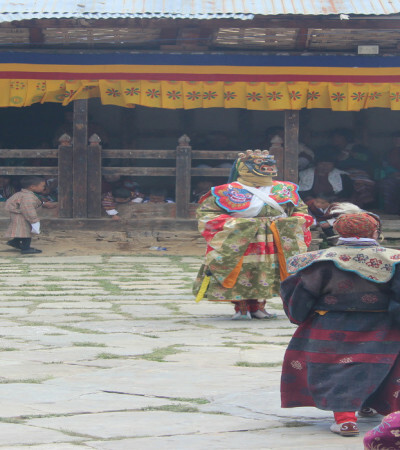 These snowy, glacial high lands are the sources for many of the rivers of Bhutan. At a little higher altitude, you will reach the tree line, the point where the vegetation changes from forest into small bushes of juniper and rhododendrons. 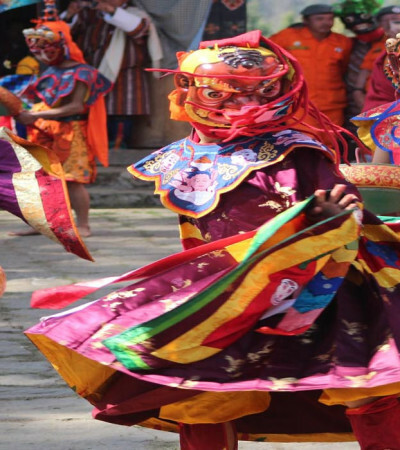 Rising continuously from the lower foothills to a height of about 4000 metres, the valleys of different heights and topography makes the country an ideal place for both native people and tourists within the mainland of Bhutan. 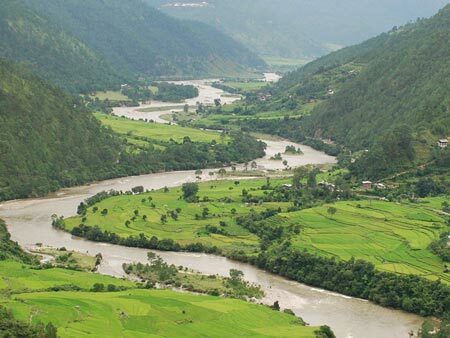 The valleys of Bhutan are traversed by the country’s five major river systems and their tributaries which ultimately drain to the Brahmaputra River in India. 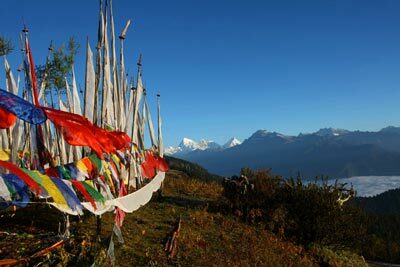 The valleys are linked by a series of passes (called "La" in Dzongkha, the national language of Bhutan). 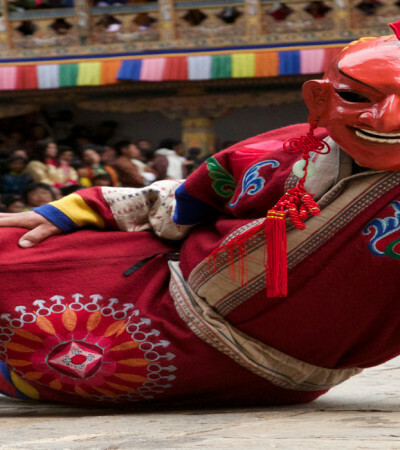 Between the Haa valley and Paro valley is the Chele La (3,780 metres (12,402 ft), the highest pass crossed by a Bhutanese highway. 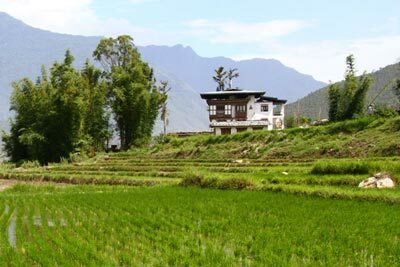 The Lateral Road from Thimphu to Punakha crosses the Dochu La (3,116 metres (10,223 ft)), which features 108 chortens (stupas) built to commemorate the expulsion of Assamese guerrillas. 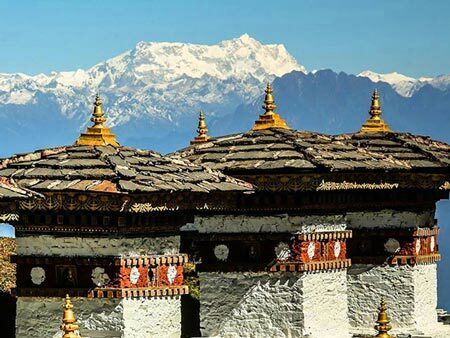 To the east of Wangdue Phodrang is the Pele La (3,390 metres (11,122 ft)). Continuing to the east along the main highway, other major passes include the Yotang La, Thrumshing La and Kori La (2,298 metres (7,539 ft). The vegetation in this zone is a mixture of broad-leaved and coniferous forest. 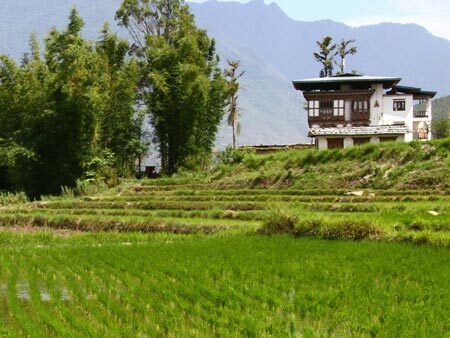 Stretched along the southern border of the country, the Duar Plain drops sharply away from the Himalayas into the large tracts of sub-tropical forest, grasslands and bamboo jungle. The altitude of the southern foothills ranges from about 200 metres at the lowest point to 2000 metres. This zone is rich in dense and sub-tropical vegetation.